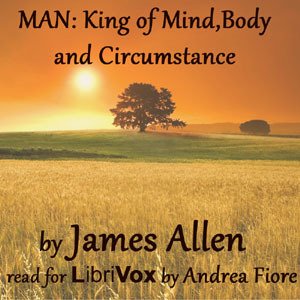 Listen to "Man: King of Mind, Body, and Circumstance" on your iOS and Android device. The problem of life consists in learning how to live. It is like the problem of addition or subtraction to the schoolboy. When mastered, all difficulty disappears, and the problem has vanished. All the problems of life, whether they be social, political, or religious, subsist in ignorance and wrong-living. As they are solved in the heart of each individual, they will be solved in the mass of men. Humanity at present is in the painful stage of "learning." It is confronted with the difficulties of its own ignorance. As men learn to live rightly, learn to direct their forces and use their functions and faculties by the light of wisdom, the sum of life will be correctly done, and its mastery will put an end to all the "problems of evil." To the wise, all such problems have ceased. Summary by James Allen.